You are here: Home / Architechture / The Multrup Steel Mansion is still for sale. Open house on Sat 1/20. Now $49,000 or less! Sooo…. who is up for a little road trip to Beaver Falls this weekend! I’ve been noticing that the two previous posts on the Moltrup Steel Mansion have been getting a lot of visits recently. 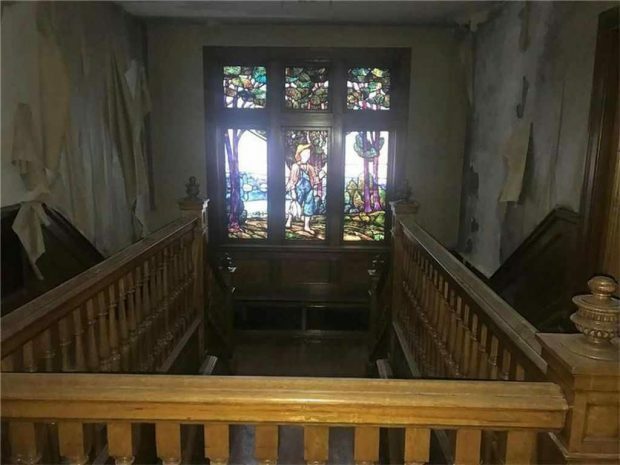 So I thought I would check back and see if this house was still for sale. 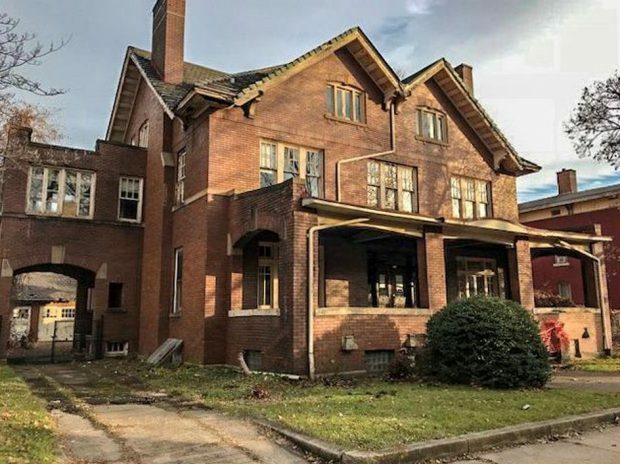 The Multrup Steel Mansion located at 914 8th Ave is still for sale and the price has been reduced to $49,000. There is a new listing agent for the property, Carol Tomayko, her team has been very responsive to questions. You can read a history of the Moltrup Steel Mansion on our previous post here. The house has been featured on several old house blogs and you can read some of the comments on Old House Dreams to learn more about the current condition of the house. Long story short… not good. I have just confirmed with the listing agent that there is an open house at 914 8th Ave, Beaver Falls for this Saturday, January 20 from 1-4pm. Price Drop $49,900 or Less? The realtor has also told me that while the price is listed at $49,900, the property is now in foreclosure and the bank intends to sell the home via auction in the next few weeks.